CES 2018 is off to a great start, but Razer has somehow managed to steal the show again! This time with a prototype phone-laptop hybrid. Yes, another CES and yet another Razer prototype. But unlike Razer’s previous ones (Valerie, for example), this new one, called Project Linda, might actually make it to the market sometime. Project Linda is a dock for your Razer Phone. It is essentially a companion piece of hardware that’s capable of turning your phone into a full-fledged laptop. Ring any bells? Well, yes. There are other devices in the market capable of performing the same trick, like Samsung’s DeX dock. Instead of going for a dock, Razer has decided to turn a 13-inch laptop into a dock. However, instead of a trackpad, there’s an open compartment that is just the right size to fit the new Razer Phone. So clearly, Razer doesn’t want you to use it with any other phone. 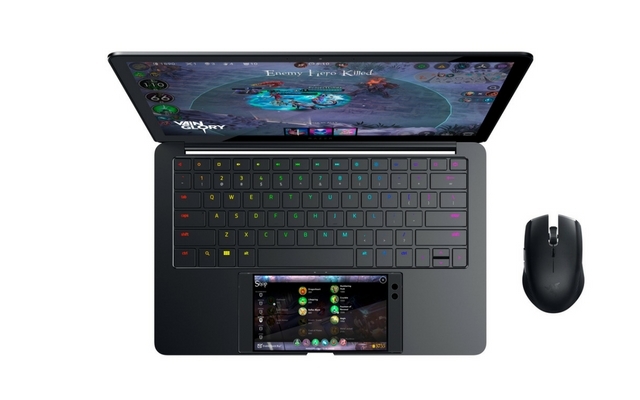 Since it uses Razer Phone’s processing power, the laptop itself doesn’t have any brains. It’s just a shell with a 120Hz display, keyboard, and a 53.6Wh internal battery. It has 200GB of onboard storage, but it mounts like an SD card would on an Android phone, which is not the fastest implementation. In terms of ports, there’s a full-sized USB Type A port and one USB Type C port. Rounding out the list of features is a 720p webcam, a dual-array mic and a 3.5mm audio jack, which the Razer Phone itself does not have. Once the phone is in place, it starts acting as a trackpad, and everything in the laptop runs off of the Razer Phone’s beefy Snapdragon 835 SoC and 8GB RAM. After all this same SoC has been used to power Always-on Windows PCs. 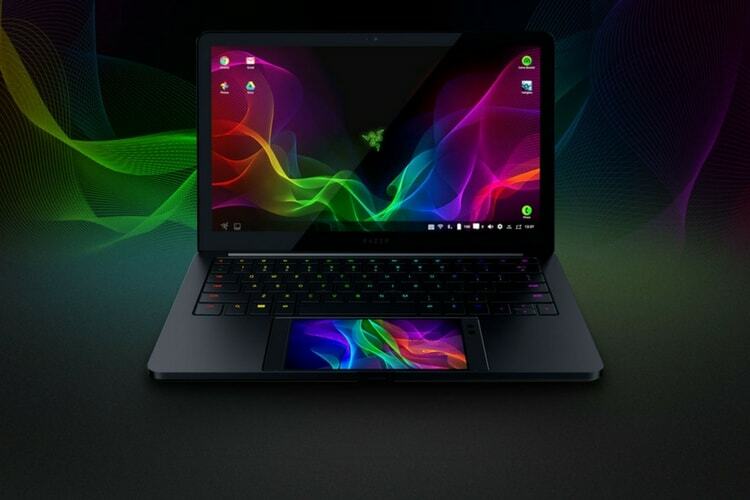 The laptop runs some version of Android, though to what degree Razer has customized the UI remains to be seen. It does say some apps and games can make use of the phone’s display for granular control of settings or as an extra display while gaming. Just like last year’s Valerie, there’s no release date announced for Linda. But it does look a lot more achievable in comparison, especially from a hardware perspective. We’ll be sure to track this till the very end, so stay tuned.